Disciple is not always a synonym for believer. It’s also used for a committed believer and other times it’s used for the original twelve apostles. There are early, non-scriptural manuscripts that give us an idea about the apostles’ lives and their martyrdom. Andrew, the first apostle Jesus called, was Peter’s brother. After Andrew heard from John the Baptist that Jesus was the Lamb of God, he told Peter they had found the Messiah. Andrew was the quieter of the two, usually mentioned as Peter’s brother. Learn about Andrew’s travels east and possibly north, his crucifixion on an “X”-shaped cross, the disposition of his remains and his connection to Scotland. Finally, discover evidence of Bartholomew’s identification with Nathaniel, his travels to India and his martyrdom. An apostle is someone who is sent. Some who were commissioned as apostles were sent out by congregations. We rely on scripture, historical sources, geographical sources, tradition and legend to map their routes and follow their personal stories. Find out which sources are more reliable and why. We DO know these martyred Apostles had a faith so certain that they were willing to give their lives to testify to its truth. Sort out each James to clarify his identity and his role in scripture: James, the brother of John; James, the son of Alpheus; James, the Lesser; and James, the brother of Jesus. What is it about Matthew that would make it out of the ordinary that he was so quick to follow Jesus? These Apostles fulfilled Jesus’ mandate to take the gospel to the uttermost parts of the world. The focus of our documentation of the church, after it spread from Jerusalem, was to the west. We lose access to documents from the Eastern Church, but there are ancient records with information that can be considered, but not always reliable. Follow the biographical information available for these Apostles from scripture and historical tradition. Learn what we can know of their lives, the area of their ministries, confusions that may have been caused by names, relationships and martyrdoms. Erase any doubt with the understanding that Judas Iscariot was not a believer. As church age believers, what is our mandate? 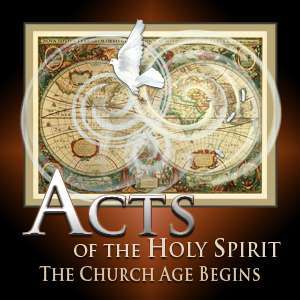 Acts is a transition, a historical narrative that is descriptive, not a prescriptive pattern of what happens in the Church today. The phenomena of the church growth movement in the late 60s based church growth on sociological issues and stressed experience as a validation of the Bible. As is often the case with Satan’s plan, this method seemed to work. But understand fully the instruction Jesus gives Peter to feed His lambs while He builds the church. Jesus doesn’t tell Peter to manage an organization through techniques in church growth, but instructs him to proclaim and teach. Review Paul’s journeys and allow instruction from his many discourses to teach us how we can maximize our approach with the message of God’s Word to people in our lives with differing backgrounds. The gift of prophesy still existed in Acts before direct revelation ceased after the Canon was complete. The Holy Spirit, in specific divine guidance, actually called out Barnabas and Saul (who certainly had this gift), to take the gospel to these destinations. Learn the meaning of Saul’s name and the significance of his new name. Travel their path; encounter their resistance and the positive response. Learn about how the synagogue functioned. See how Paul spoke to these Jews, encapsulating Jewish history and focus in few words and introducing its long-awaited fulfillment through the death and resurrection of Jesus Christ. We learn that evangelism may be most effective when the presentation is specific to the hearer. Paul is giving the gospel to Jews and God-fearing Gentiles in the local synagogue. Paul addresses them within the framework of their familiar as he anchors his message deeply within scripture, stressing their understanding of forgiveness of sin and justification. If it were only that easy to approach an unbeliever today, one who had such a deep knowledge of scripture. This is highly unlikely. Our approach must confront the realities of their position. The optimal starting point is for us to be profoundly familiar with the Word and to have a developed relationship with our audience. Paul will show us how to deal with a variety of circumstances so that we will have a pattern from which to launch our own approach and the assurance that rugged roadblocks aren’t necessarily terminal. Scripture has seen many translations. The study of the origins of these translations is key to understanding their accuracy related to the inspired text. Here Paul presents Jesus to a Jewish audience, weaving Old Testament promises through his message which are fulfilled in the death and resurrection of Jesus Christ. Could a fuzzy translation compromise the fact that these verses are meant to be Messianic? Take a careful look at the clarity of promise in these Messianic passages. Develop the meaning of begotten, the shared natures of God and His Son, the timing of the Messiah’s reign on earth and the imagery in these passages which present Jesus as Messiah and clearly show His relationship to the Father. In this section Paul continues the gospel message to these Jews by shifting to the Davidic Covenant, a promise which was very familiar to them. Review the Davidic Covenant which is an elaboration of the seed promise in the Abrahamic Covenant. Walk back through numerous Old Testament Messianic passages that address Israel’s future hope in turning to God, His restoration of the Land and promise to David of an eternal kingdom through his seed. See how directly Paul addresses these Jews on the basis of their well-known scripture and the unquestionable ways Paul presents to them, through recognition of the promise of the Davidic Covenant, that these things are fulfilled in Jesus Christ. As we see Paul focus on the gospel with the Jews in Antioch in Pisidia, we should be aware of some modern evangelistic challenges seen through a comparison of Lordship Salvation and Free Grace. Those in Paul’s audience knew the scriptures, so it was effective for him to string together prophesies pointing to Christ. Review many of these Old Testament promises and see the familiar terms imputation, justification, forgiveness, propitiation, righteousness, and Christ the Servant. How does the resurrection seal the fulfillment of the Messianic prophesies? Do these Jews respond to Paul’s message?